Original canvas painting by Phil George. Signed and Framed. 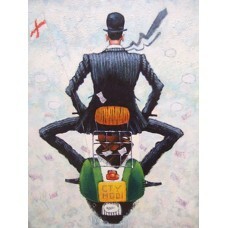 Vity Mod IV - Original painting on box canvas by Phil George. Pricing and Size information coming soon. Limited editions available exclusively through Art To Love.